When researching publicly-traded energy companies, in addition to the usual resources like Dow Jones Factiva for current news events and Capital IQ for financial information, a good place to look is the website of the individual company – and in particular, its investor presentations. Investor presentations hold a wealth of information, including specific energy metrics not found (or easily found) elsewhere in public documents or filings. Examples for an exploration and production company might include their area of operation, how much acreage the company has, the number of rigs it currently operates and what their net recoverable resources are. It might also have well economic data, for example, metrics like IP rates (initial production) or EURs (estimated ultimate recovery). If the company is currently operating in the Eagle Ford in South Texas, it might break down its production by oil, natural gas or natural gas liquids. A marine vessel operator for offshore construction projects might list all of its vessels, and an oilfield services company that manufactures ceramic and resin proppants might show how their products help improve recovery in the shales. Investor presentations are generally found on the company’s website, under “Investor Relations”. Sometimes, investor presentations are also filed with the US Securities and Exchange Commission, and may be accompanied by a press release (usually an 8K filing). A few years ago, Petroleum Listing Service (PLS) in Houston introduced a new database called docFinder which collects and stores investor presentations. I believe at last count, they were almost at the one million mark! It’s important to note that at one time, energy companies would keep most of their presentations available on their website indefinitely but lately, it seems, they don’t keep nearly as many or for very long. That’s one advantage of having a database like docFinder. Another advantage is that if a company is acquired, like when Brigham Exploration was acquired by Statoil in October 2011, all of Brigham’s presentations went away once the deal was completed. Luckily, docFinder has all of Brigham Exploration’s presentations in its database, so notwithstanding the acquisition of the company, the presentations are still available in case historical research needs to be performed. This week I had the honor of hearing Dr. Vijay Mahajan speak at the Texas Enterprise Speakers Series about his latest book The Arab World Unbound: Tapping into the Power of 350 Million Consumers. Mahajan spent 3 years of traveling the region and interviewed over 600 local and multinational companies like Coca-cola and Unilever already doing business in the large and growing market. He breaks down stereotypes about the people and culture and demonstrates how globally connected and vibrant the Arab markets are. The Financial Times says "Prof Mahajan's excitement about the Arab world is almost palpable...he is a fine writer and he presents factual details, statistics and concepts in a breezy, easy to read manner." This is Mahajan's third book about consumers markets in developing countries. Also check out The 86 Percent Solution: How to Succeed in the Biggest Market Opportunity of the Next 50 Years and Africa Rising: How 900 Million African Consumers Offer More Than You Think . Since the world has become obsessed with infographics, we decided to try building one ourselves. There are several different services you can use and after reading about them here, we decided to give Piktochart a try. Take a look and let us know what you think. Have you built an infographic yourself? We'd love to hear about your experience. Tweet us @bizologie or join us on Facebook. bizologie has covered how to research US private companies recently, but we know financials are almost impossible to find since US private companies are not required to report their financials with the SEC. Other countries have different requirements for private companies. And, many require full financial info be released. This is great news for business research. Thanks to FreePint and researcher Heidi Longaberger you can easily see what kind of private information is available for private firms in Austria, Belgium, France, Germany, Ireland, Italy, Netherlands, Spain, and the United Kingdom. 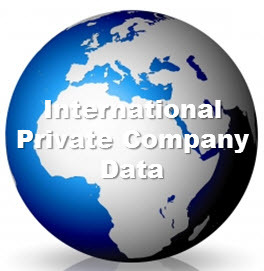 The FreePint article Private company information outside the US: Western Europe, UK and Ireland has an easy to use chart detailing what private company information is available and links to where the information is provided! Most of the websites are available in English, and best of all most of the data is free or available for a small fee. Find links to these international private company sources on the new bizologie Favorite Resources page.